Some of you probably not familiar with pandan leaves, Pandan leaves is very popular in Asia mostly in south east Asian countries, I found pandan leaves in Asian market here. 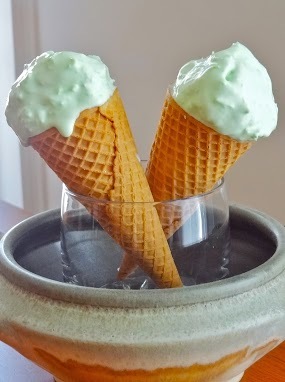 As an Indonesian I love the combination of pandan flavor and coconut, I made coconut pandan ice cream, the creaminess from coconut milk and pandan flavored are well blended in this ice cream. stir frequently and cook until about boiling. I am curious on where you got the pandan leaves from? It must have been really expensive to buy it in UK. My garden "melambak" with pandan. Can I make the ice-cream without the maker? I don't have the maker and we rarely have ice-cream. 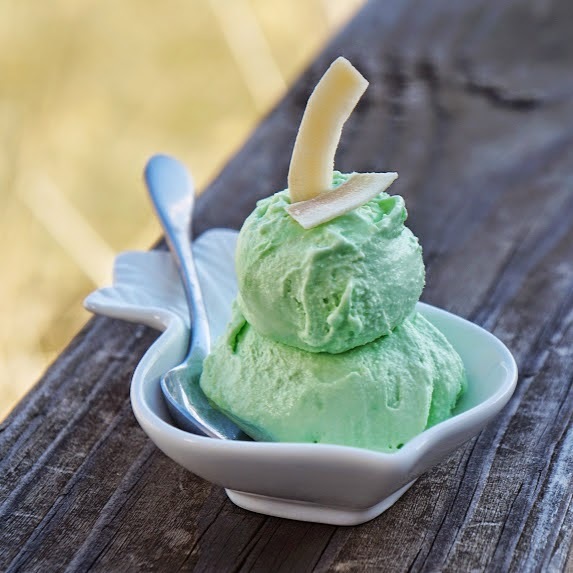 I just love the pandan and coconut flavors together, the best of Asian tastes. I love coconut anything. This ice cream looks pretty and tasty. Hi,this looks absolutely scrumptious,Does pandan leaves have any other name??? That's what I call unusual and fantastic ice cream! Unfortunately I never even saw pandan leaves even in our local Asian market where they sell their fresh produce; but I did have the pleasure of receiving pandan paste from a blogger friend from Malaysia (sorry to say it leaked all over the package)...the aroma was incredibly beautiful! Love coconut EVERYTHING! 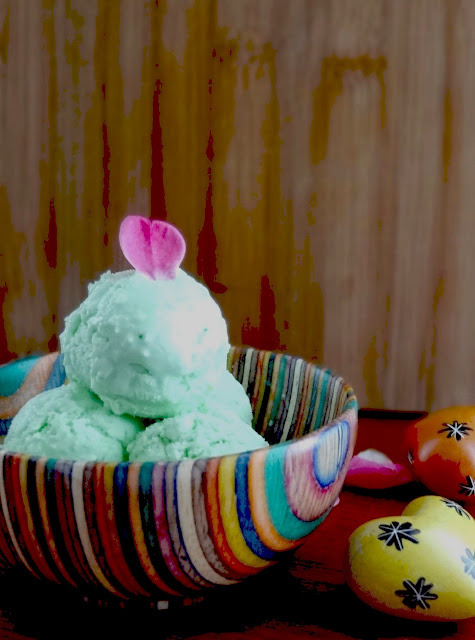 The ice cream looks so refreshing with that beautiful green. I love the color of this ice cream!